Watsons Malaysia is one of the largest health, beauty, cosmetics and perfumery retailer in the world. The wide range of merchandise encompasses more than 1000 brands and private label products ranging from prescription medicine, health supplements, skincare, toiletries, cosmetics and accessories. Watsons Personal Care Stores, your one-stop Health, Wellness and Beauty solution centre is now online. Shop online at your own comfort and choose from home delivery or self collection at a store of your choice. 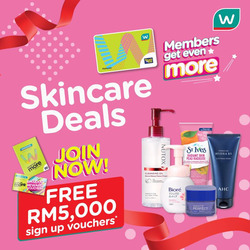 Like Watsons Malaysia on Facebook to discover the next 1 hour flash promotion and subscribe to watsonsmy on YouTube for the hottest beauty tips. 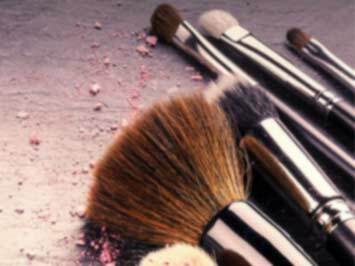 Watsons feature their own range of exclusive beauty products including Muse by Watsons and Naturals by Watsons. Watsons is named after the Watson family from Scotland. Dr. Thomas Boswell Watson was the first member of the Watson family to arrive in the Far East and set up a private practice in Macau in 1845. He moved to Hong Kong in 1856 where he became part owner of the Hong Kong Dispensary, which would later be known as "Watsons the Chemist". Watsons Malaysia opened its first outlet in Holiday Plaza, Johor Bahru in 1994. Today, Watsons operates over 350 stores in Malaysia serving more than 50,000 customers per day. Sign up for a Watsons VIP Member card to enjoy member privileges and start earning points on your purchases instantly. Points can be redeemed as cash rebates to offset future purchases.